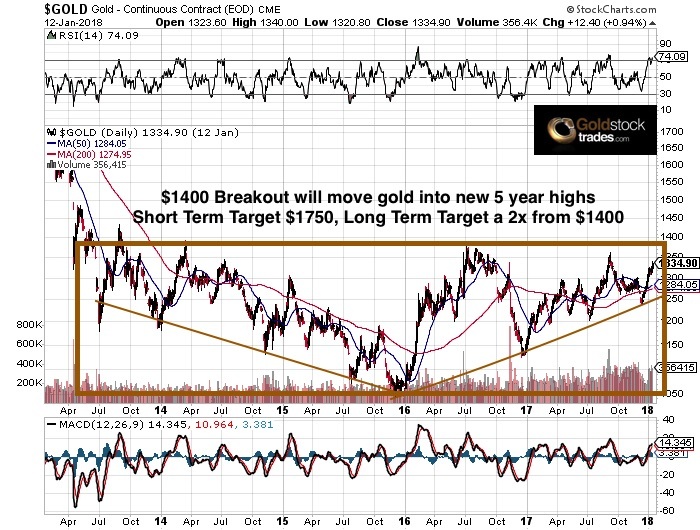 “We see a breakout at $1,400 in gold, which could mean new multiyear highs,” said Jeb Handwerger, editor of GoldStockTrades.com, which offers a newsletter focusing on mining exploration companies. Gold futures haven’t topped $1,400 since 2013. Given all that, he expects “a lot of institutional capital to return and significant short covering that could cause the price to gap to $1,750.” Gold futures haven’t settled above that level since 2012. 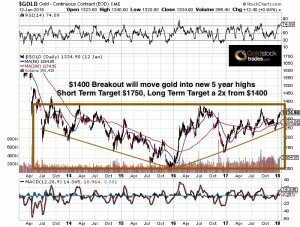 And “the miners boom after gold makes a sustainable move,” said Handwerger. Even at a $1,400 gold prices, he expects junior gold miners, which are exploration companies in search of new gold deposits, to soar. 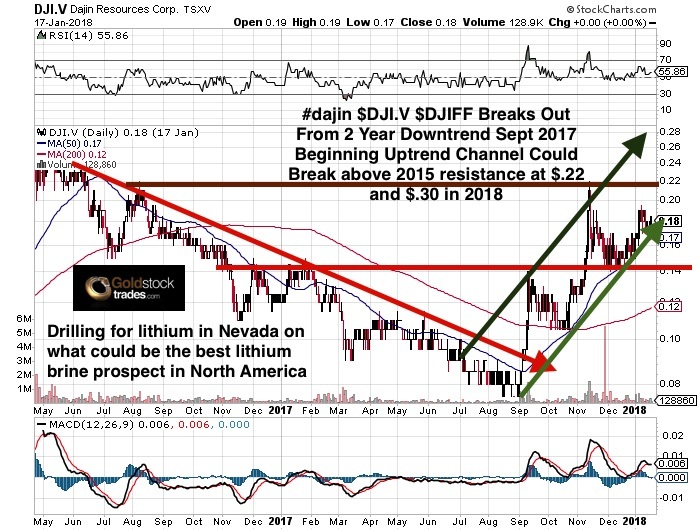 That “could set off a huge [merger and acquisition] push by the major [gold mining companies] to replace their reserves, which have been in decline,” Handwerger said. Year to date, the exchange-traded VanEck Vectors Junior Gold Miners fund GDXJ, -0.09% has climbed 1.3%.